30+ Years Experienced in residential real estate. Your Resident Realtor! 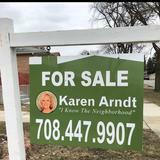 I confirm that I worked with KAREN ARNDT, Managing Broker in the buying or selling of this property.